ShowEast will induct Larry Etter, CCM, NAC’s Director of Education and Senior Vice President of Malco Theatres into the 2018 ShowEast Hall of Fame. ShowEast established its “Hall of Fame” in 1999 to pay tribute to a select group of industry veterans who had served the motion picture industry with great distinction. An all-industry executive committee runs the nomination process. This special induction ceremony is scheduled for Thursday, October 25th at the Loews Miami Beach as part of ShowEast 2018. This induction is the latest in a career filled with outstanding achievements. Etter received the NAC Bert Nathan Memorial Award at ShoWest in 2003, the Outstanding Leadership Award from TSTIA Owners in 2001, the Honorary Doctorate of Foodservice from the North American Foodservice Equipment Association in 2005, the TSITOA Hall of Fame in 2003 and the NAC Mickey Warner Award in 2012. He is the first food and beverage operator to be inducted to the ShowEast Hall of Fame. Larry Etter, CCM, is a professional foodservice executive with extensive experience in the entertainment industry. As a senior executive with Malco he has had the opportunity to build a business through significant negotiations, contracts and construction build outs. 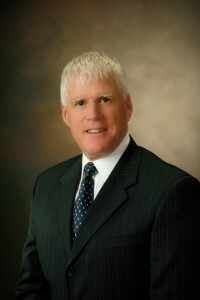 In addition to his responsibilities as Senior Vice President at Malco, Etter served as Chairman of the Board for the National Association of Concessionaires (NAC) and is currently the Director of Education for NAC. He has served as a consultant to many theater operators as well as Compass Group, Eurest Dining Services and Chartwell’s. He assisted in the strategic planning of the 1996 Olympics in Atlanta with Creative Concession Concepts and McDonalds. His consulting services reach into the university level as he worked with Baylor University, The University of Mississippi, and Auburn University. Etter has engaged in the development of concession curriculum in universities and on-line. He worked with Auburn to create a three hour accredited class in recreational foodservice management. He assisted in building online programs for Food Safety, Alcohol Awareness and Sexual Harassment Certification within the NAC portfolio. Etter worked with Experia and NSF in developing the recreational foodservice food safety exam specifically for concessionaires while also contributing in writing of the nationally certified manual for food safety by NSF. Etter has been a guest lecturer at Auburn University. He frequently speaks at conferences, such as, Cinema Con, Rocky Mountain Theater Owners, TSITO, NAC, Gold Medal Products, Inc. C. Cretors, Vistar, CCSI and CineShow. He has international experience and knowledge of Russia, the Middle East, Asia and South America and worked with NATO in accommodating the return of cinemas to Saudi Arabia. Currently, Etter also serves as adjunct professor at the University of Memphis, Kemmons Wilson School of Hospitality and Resort Management where students can earn three credit hours and the Concession Managers Certification (CCM), both live and on-line, as well as a four-day live CCM class and an Accredited Supplier Certification (ACS) for suppliers and sales professionals. About NAC: The National Association of Concessionaires, founded in 1944, is the trade association for the recreation and leisure-time food and beverage concessions industry. Members are comprised of the owners and operators of facilities such as: Movie Theatres, Stadiums & Arenas, Zoos & Aquariums, Colleges & Universities, Foodservice Contractors, Park & Recreation Departments, Amusement Parks & Family Entertainment Centers, Ice and Roller Skating Rinks, Racetracks, Bowling Centers, Outdoor facilities, Convention centers and Performing Arts Centers. Our members also are the companies that provide products and services to these facilities, including: Suppliers, Equipment Manufacturers, Popcorn Processors, Jobber Distributors, Consultants and Brokers.